Looking to keep pace with Amazon, it seems Barnes & Noble has something up their sleeve this month - the Nook Tablet. Coming to market in just under two weeks, the Nook Tablet is a dead ringer for the Nook Color, but it brings to the table substantially pumped up specs that, in some ways, surpass its nearest competition - the Kindle Fire. 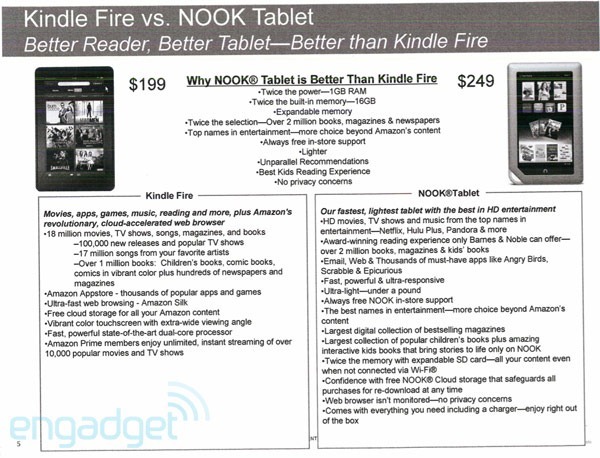 As you can see, the Nook Tablet actually bests Amazon's Fire in terms of both storage and RAM. 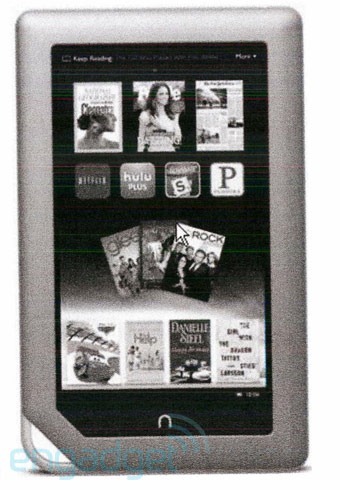 Its entry into the market should make things a little more interesting in the e-reader/tablet hybrid domain. Evidently, the Nook Tablet will go up for pre-order on the 7th, and reach users' hands on the 16th. Not bad for a 7" tablet that hasn't even been officially announced yet.